Yes the Christmas season is upon us again. If you’re like me, I’m always looking to buy something a little different for my friends and family and I love to support individual makers and local businesses. With the pop up culture constantly growing, there are so many craft fairs on all over Scotland. But how do you know which one’s will be good to visit? Well I’ll give you a little help. If you are looking for quality, handmade gifts then these are the best fairs to head to this Christmas. 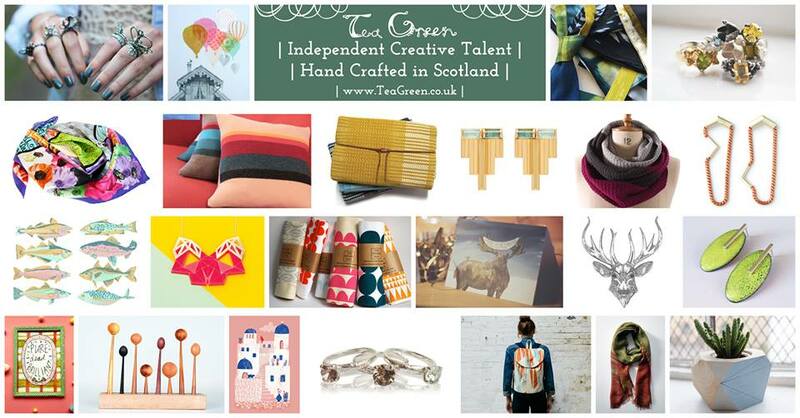 If you are in Dundee the Tea Green Concept Atelier starts this weekend and continues till December. It’s hosted in The Flour Mill. Also in Dundee is WASPS Christmas sale at Meadow Mill, level 4, West Hendersons Wynd, Dundee, DD1 5BY on Sunday 11th December. 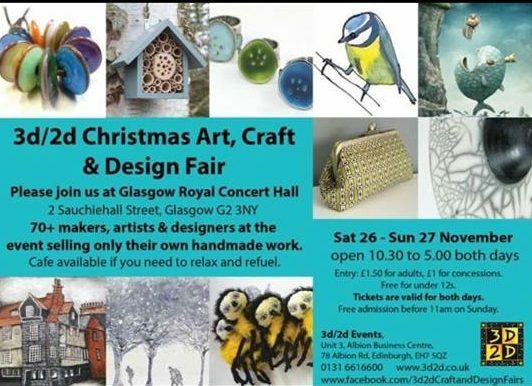 If you’re in Glasgow there’s the 3d2d Christmas Art, Craft and Design Fair this weekend Sat 26th – Sun 27th November at the Royal Concert Hall. Then on Sat 10th – Sun 11th December, open 10am-4pm both days, there’s The Kibble Palace Festive Market in Glasgow’s West End. More info about the event can be found here. 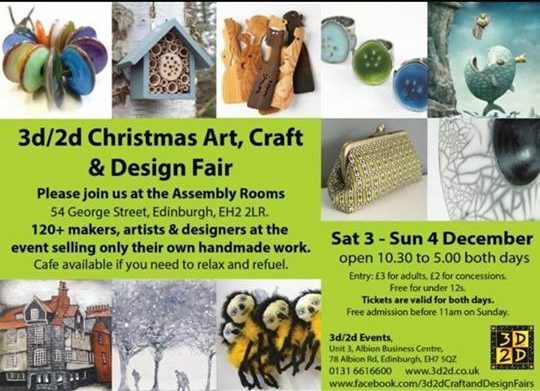 If you are in Edinburgh the 3d2d Christmas Art, Craft and Design Fair is on at the Assembly Rooms on Saturday 3rd – Sunday 4th December. So I hope this helps you find the perfect gifts for your loved ones. If you are after quality, professionally, handmade products then these are the fairs to attend.